From spooky mansions to winter frosted cottages and lucky leprechaun towers, we provide you all the pieces you need to create beautiful holiday accents for your home. Unleash your inner artist and revel in the joy of creating with our exclusive GingerGiddy holiday kits. Hand cut, delicious, and fragrant cookies made with the best spices and ingredients. Icings, frosting, accents and specialty applicators to assemble and decorate to your hearts desire. 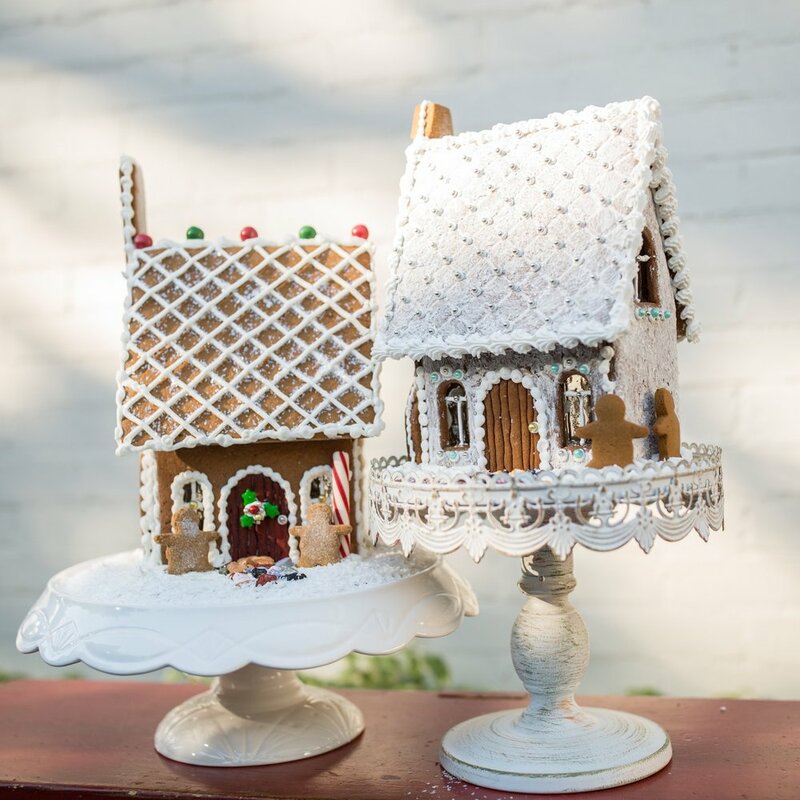 9-inch cardboard base to construct and display your gingerbread house upon. Detailed blueprint and video tutorial from Brenda to make your decorating a breeze.